The Homer Laughlin 452326 Fiesta cup resists chips and scratches with the durable china material. It has been fully vitrified for strength and to become nonporous. This cup can easily serve hot beverages, like coffee and tea; adding the Homer Laughlin 470326 Fiesta saucer completes your set. 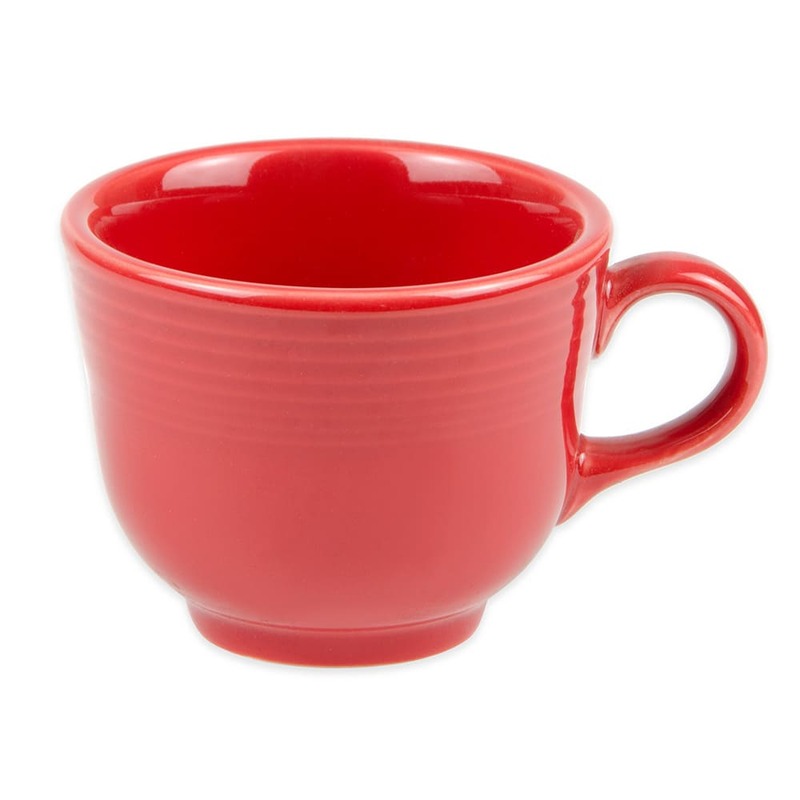 The Homer Laughlin 452326 Fiesta cup has a 73⁄4-ounce capacity. With the scarlet color, you can easily create an eye-catching display.